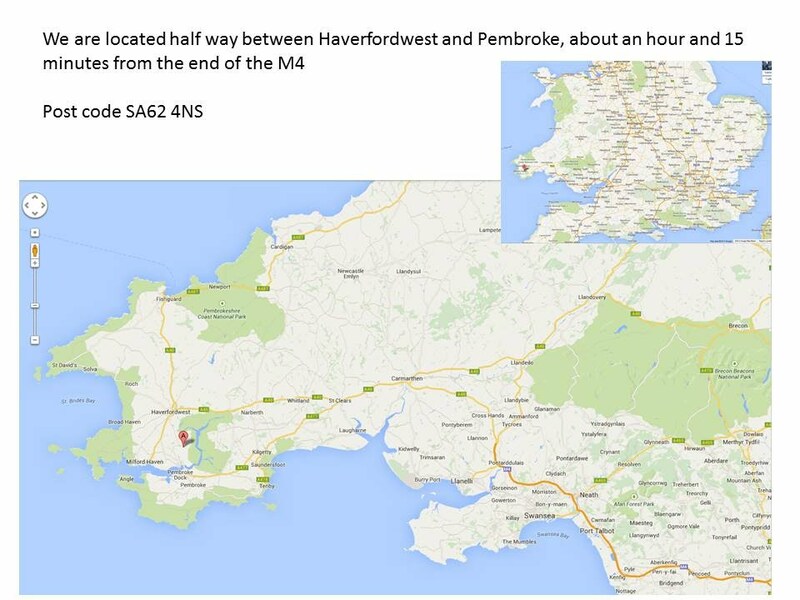 Take the M4 all the way to the end! Head for Carmarthen. We are about 35 miles from Carmarthen. Follow signs for St Clears on the A40. Continue on the A40 to Haverfordwest. Follow signs through Haverfordwest to Milford Haven (A4076). At the "McDonalds" roundabout, take the first exit signpost Hook, Llangwm (Pembroke Road). Continue approximately 4miles to Sardis. Continue through village to SEAT garage, pass 4 bungalows and our turning is on the left just after the "Hill Mountain" signpost. Turn left, the campsite is at the end of the lane - just keep going until you reach the field. The farmhouse will be on your right.